If there is a Law Enforcement Citizens Academy in your area, I highly recommend you take part in it. This 12-week course has opened my eyes to what is going on in our cities and what officers face in the streets. Recently, I was able to take part in a 12-week Law Enforcement Citizens Academy. This particular academy was put on by the Department of Public Safety, Police Department and the Sheriff’s Office. It was completely by chance that I saw on Facebook early on in the year that this academy was even taking place. I have always had an interest in the work that police officers do so I immediately submitted my application to participate. To me, law enforcement is an exciting, dangerous job that takes a special person to do it. These officers are willing to put their lives on the line day in and day out for complete strangers. Each agency hosted our 31-member Law Enforcement Citizens Academy group four different times throughout the course. The first three classes consisted of us learning about the various law enforcement agencies and their history. We were able to learn the various departments associated within each agency and their jurisdictions. The classes really got interesting once we were able to have various team members from each department speak to our class. Each Law Enforcement Citizens Academy presentation brought an enormous amount of awareness of what these officers/deputies/troopers do on a daily basis to ensure our safety. Texas Rangers (the tough guys, not the baseball team) briefed us on their jurisdiction and when they are called in to investigate. DPS briefed us on their work with the Border Patrol, which I will be honest with you and let you know this part scared the bejeezus out of me. The Police Department’s Homeless Outreach Unit is one department I did not even know existed but they are really doing a lot to try and help the homeless population. The Narcotics and Gang Presentation from the Sherriff’s Office was probably one of the most interesting and informative presentations, but once again it scared the dickens out of me. I had no idea how many gangs or gang members were in Texas. Or the different types of drugs that are prevalent in our area. 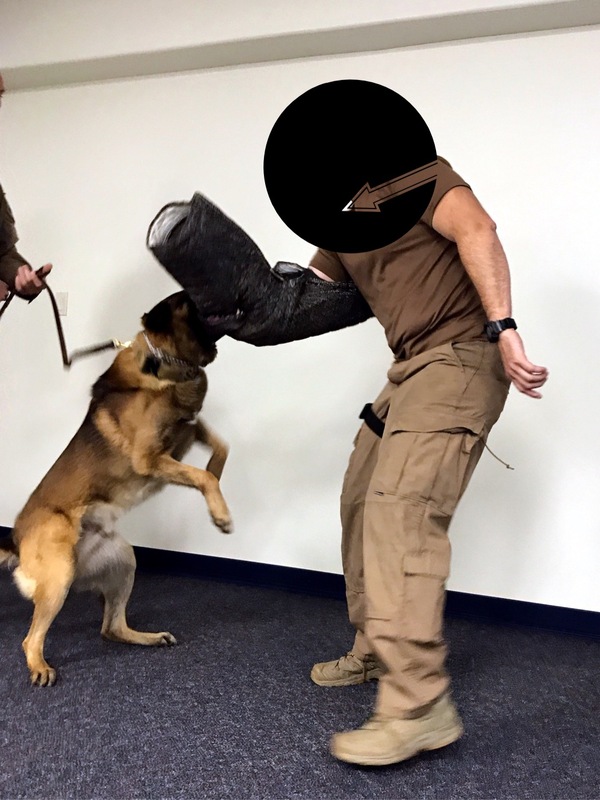 The Sheriff’s Office K-9 presentation and demonstration was frightening from the front row – you don’t ever want to have this dog come after you. I was also able to see a K-9 unit in action on a search for drugs on patrol one night. 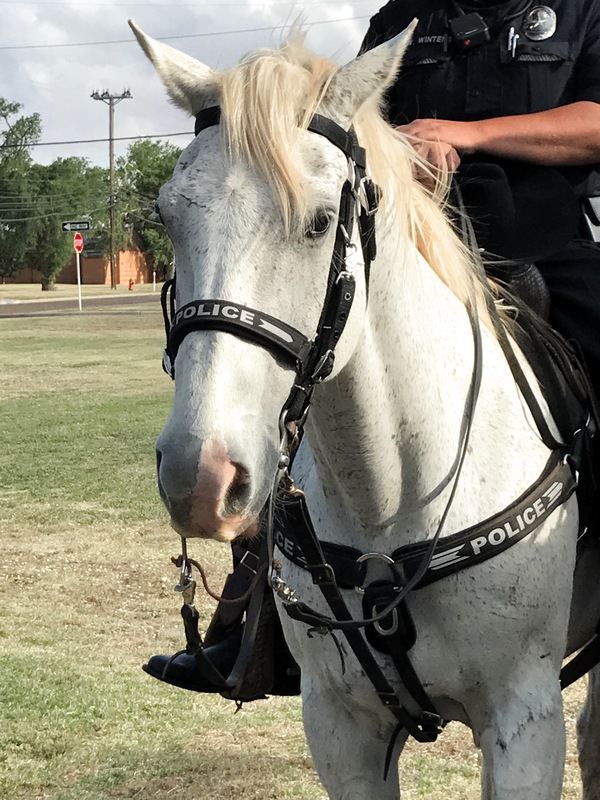 The Mounted Patrol Demonstration was pretty cool – and they can do an awful lot, including arrest you, from atop their horses. It’s pretty awesome to witness it. The presentation on Citizens Response to Active Shooters made me want to cry when we saw a video of one of the school massacres. It also made me more aware of where I am in buildings and at events. I think schools and civic organizations should be trained on this. The DPS had scenarios of high risk traffic situations for one demonstration. This was interesting to watch and very lifelike when they stopped a person with a felony warrant. Even though it was a simulation and fake, my heart still leapt from my chest when the troopers pulled out their guns and had the suspect walk back towards them. We had a CPR demonstration and we were able to actually do CPR on their dummies. It’s a lot harder than it looks but I’m so glad we were able to do this. Probably my favorite part was the DPS presentation on interdiction. On my ride-alongs I was able to see these in action on numerous stops so it was nice to know what to look for during traffic stops. The Sheriff’s Office had a Crime Scene Investigator share with us his duties and also the crime lab. This was SVU come to life. The Police Department had their negotiator speak with us and share some real-life scenarios. The negotiator has a book, Fight or Flight, on his work if you’re interested in learning more and reading some of the cases he has been a part of for the police department. The Police Department had a demonstration from their SWAT team that was amazing to be a part of. Those guys are remarkable at their jobs and I hope I never have to see them in action. The final class was on Crash Investigations and my mouth was open probably the entire time. Fascinating information shared on this one and I was amazed at how much information they are able to gather from a crash scene. The Sheriff’s Office also gave us a tour of their Detention Center. They have done an incredible job with this new facility and it was hopefully my only time behind the booking unit. I learned so much from every single presentation but some of my favorites were the ones where we had real-life scenarios, videos, and hands-on demonstrations. I have to say my absolute favorite part was the ride-alongs. As part of the academy we were able to do a ride-along with one or all of the agencies. Yes, I may have done more than one. Ahem. I shared with one of the deputies that they were either going to deputize me and give me my own holster, or the next class would have a limit on how many ride-alongs they could do. A ride-along has been something I have wanted to do for as long as I can remember. I could have done one every night and it would not have been enough. I learned SO MUCH from each officer/deputy/trooper that I went out with on a shift. Doing this has definitely made me a more aware citizen and a better driver! No more speed demon here. The thing that struck me the most on these ride-alongs was that each agency is so different in their procedures, equipment and duties. Each law enforcement personnel that let me go on patrol with them was more than willing to answer all my questions, give me information on what was going on, and truly opened my eyes to a part of this world I had never seen before. 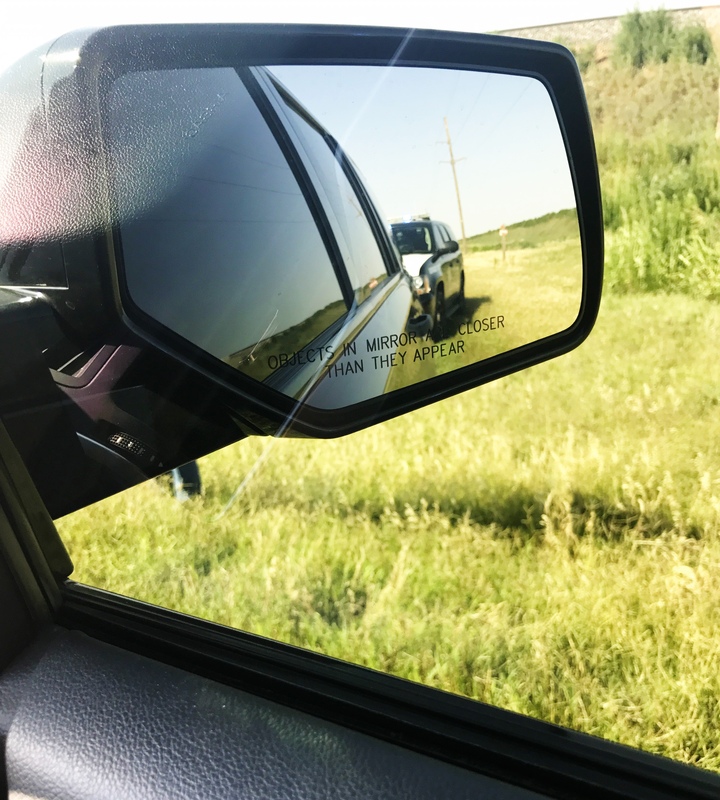 I was able to see traffic stops, DWI arrests, a DWI crash, domestic disputes, a burglary, and just a wide range of calls and stops that were different with each agency. The things all of the officers had in common though was their desire to make the streets safer, ensure everyone would make it home safely and protecting their jurisdiction. While each law enforcement agency and personnel are different, I was able to see so much good in each one I came in contact with. I will forever be grateful for this opportunity because it truly did open my eyes to what is going on in the world. Just getting the chance to talk so freely and openly with these officers was a treat. Before this Law Enforcement Citizens Academy, I had the utmost respect for our law enforcement, but now that respect and appreciation has grown even higher. These men and women are put in a tough situation every time they go on a call or traffic stop. They never know what situation they are going into or what the intentions are of the people they are coming in contact with either. I’m sharing this experience with you because I hope that you will consider taking part in a Law Enforcement Citizens Academy as well. This Citizens Academy takes place in many cities across the country and I hope you will take advantage of it if it is offered in your area. You will not be disappointed and you will hopefully be able to have a wonderful experience like I did. Thank you to the Lubbock Sherriff’s office, the Lubbock Police Department and the Texas Department of Public Safety for offering this academy. 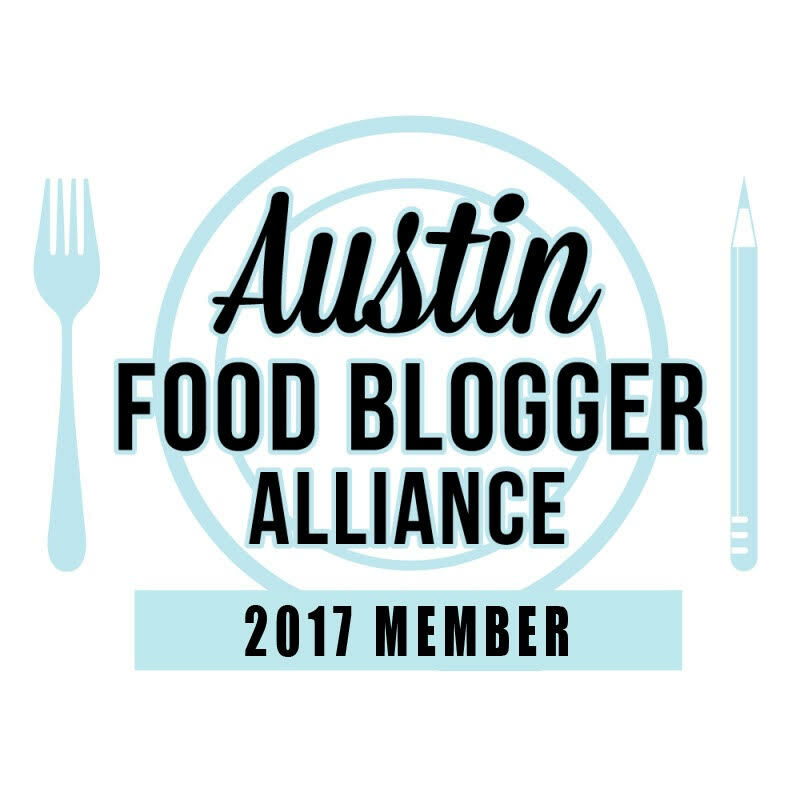 If you follow this blog, you know I like to share treats with my corner firemen. 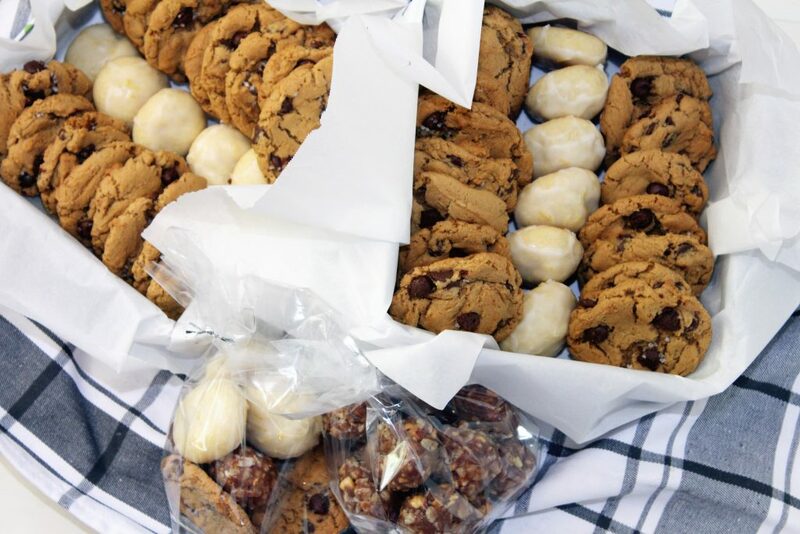 As a way of saying thanks to these law enforcement personnel, I prepared baskets of cookies for them that consisted of Salted Dulce de Leche Chocolate Chip Cookies, Nutella Peanut Butter Balls and Iced Lemmies (from the Cookies and Cups Cookbook). I hope the officers were able to enjoy them and know that I appreciate all they shared with me during this academy. Stay safe out there.